Refer to paragraph F before replacing the LED play select/pass pushbutton switch. 1. Unlock and open the coin door. 2. Remove the wires from the suspected switch. 3. Set multimeter to ohms scale. 4. Set ohms scale to R x 1, then zero the meter. 6. Check contacts (push and release the switch button) for closed and open continuity. 7. If the contacts do not operate sharply or always remain closed or open, then replace the LED switch as outlined in Figure 4-14. 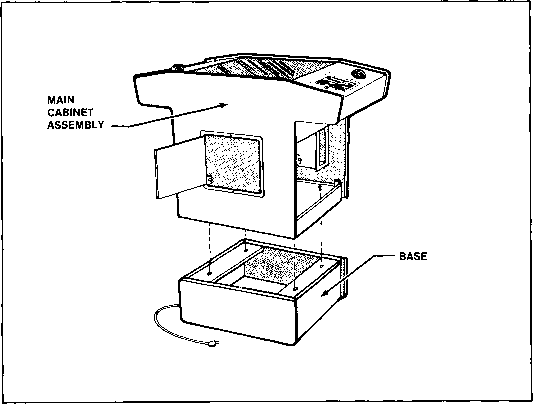 The base assembly to the cabinet may be removed when desired. 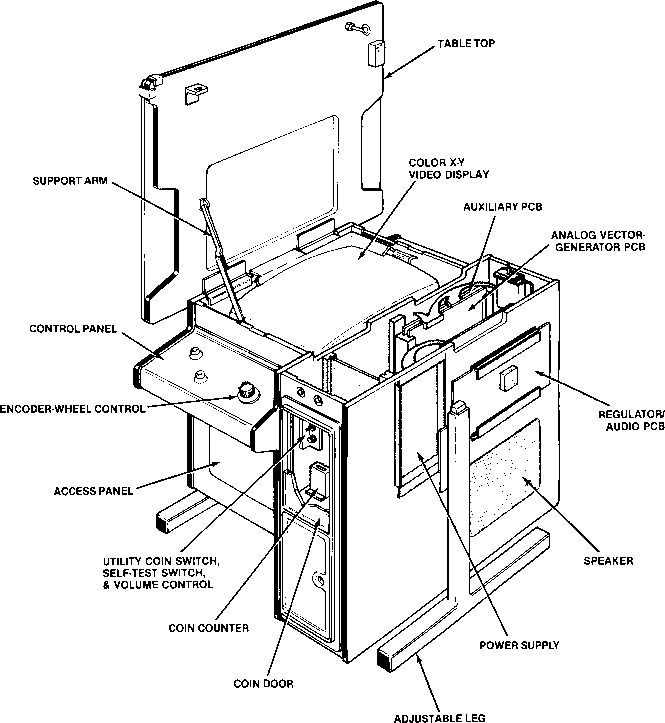 For example, by removing the cabinet base assembly, the playfield is lower, therefore facilitating the placement of lounge chairs near the player controls like with other Atari cocktail table games.